North American release for Record Store Day 2019, Made and Printed in the E.U. Reproduction of original package, remastered from original mono mix. Limited edition of 6500 copies. My copy sounds great, glad I managed to get this one on RSD. Great pressing. Quiet vinyl. Music is well mastered with good deep bass. I've never had the original pressing as they are so hard to get a hold of in good condition without costing an arm and a leg. Opened my copy today, and I have no issues with either side playing nothing but the music from the debut album of the Pink Floyd that we all know today (Roger, David, Richard & Nick),including the last Syd Barret song to appear on a PF. Also, I am very happy with my this pressing. The Pink Floyd team really do a great job on these reissues. In this case, it's a never before release in mono and the mix is amazing. The vinyl had NO pops, noise, and I didn't even clean it! The vinyl is also housed in a high quality paper outer/plastic lined inner, which overall makes this a must own for any Floyd or fan of psychedelic rock. My copy sounds great. 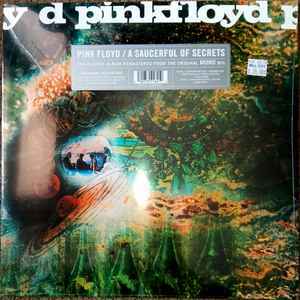 Initially I had a problem with some really loud pops on side b during the first half of Saucerful of Secrets but it mostly went away after cleaning. I'm ecstatic that I was able to pick this one up. My copy has no issues. Side A plays fine and is the correct tracks. There is a youtube video up from a gentleman and his friends copies have one continuous track as Side A. The describe as an odd dance track sounding piece. They claim Side B is fine. I enjoy it. Mono sounds just right for this album. Best version of the album for me. Heard there's a misprint on side a of this record. Apparently there's a dance track throughout the whole side. Anyone check theirs yet?